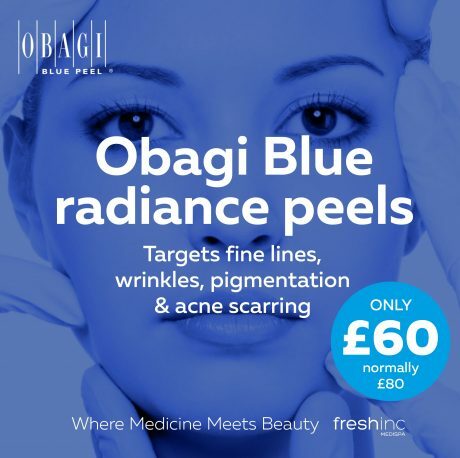 The Obagi Blue Peel Radiance Peel is a salicylic acid based peel, which works to decongest, brighten and smooth the skins texture. By targeting spots at the very source, as well as providing surface exfoliation, this peel is able to target your deeply clogged pores and reduce any post-inflammatory spots that have been left by breakouts, so it’s a great treatment if you suffer from acne-prone skin. Also ideal for those with surface sun-damage. The salicylic acid within this peel will help you shed sun spots and areas of pigmentation to reveal, newly refreshed complexion.